Between a patent application on a candidate vaccine and its development as a sure fire antidote to the disease lies a tricky terrain of technological uncertainties and monetary issues. When Bharat Biotech International (BBI), a Hyderabad-based manufacturer of vaccines and bio-therapeutics, claimed in early February that it had filed a global patent for a Zika virus vaccine as early as July 2015, it startled the world. 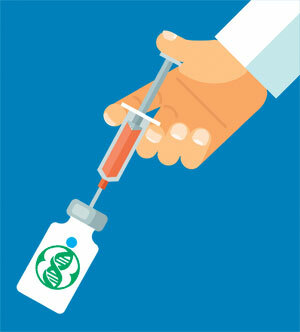 News reports announced that BBI was the first company to file a patent application on the vaccine. The World Health Organization (WHO) which has declared a global emergency over the Zika virus said the firm was among the frontrunners in the race to develop an antidote. However, WHO says it will examine BBI’s claim. The dramatic announcement by Krishna Ella, managing director of Bharat Biotech, had claimed that its two vaccine candidates, named Zikavac, were ready for pre-clinical testing (on animals) and that this put it leagues ahead of similar efforts across the world. So, for the cheer brigade, it was apparently one-up for the country in its Make in India ambitions. But here is the rub. A search failed to turn up the patents filed by BBI nor were the details available on the company website. There was not even an announcement in July last year when the filing was ostensibly made. This is puzzling since companies normally make much of such achievements which help both their image and bottom line. There are more intriguing questions that the BBI claim raises. For one, how did it import the live virus it worked on? Who gave it permission to do so? For another, why is the Department of Biotechnology, the official wing overseeing such research, maintaining an ominous silence on the firm’s breakthrough and refusing to answer queries? Noted virologists emphasise there is no record of isolation of the Zika virus from the Indian subcontinent and have said there is concern about bringing the virus into India. The virus, which is transmitted by the Aedes mosquito, has terrorised Latin America, notably Brazil, because of the suspected link between Zika and a foetal deformity known as microcephaly. This results in babies being born with abnormally small heads and in Latin America’s largest country there has been a rapid increase in cases of Zika and microcephaly in recent months. It was curious why Bharat Biotech took up the Zika virus at all at a time when there was no outbreak of the disease. Ella claims that since BBI was working on chickungunya, another disease transmitted by the Aedes mosquito, it also looked at the Zika virus. Interestingly, clinical trials have yet to start on the chikungunya vaccine although it has been a decade in the making. But the Zika vaccine, on which work was initiated only at the end of 2014, is miraculously set for pre-clinical tests! Global competition may have prompted BBI to make what critics see as a rather premature claim. Already, Inovio Pharmaceuticals Inc of the US has said its experimental shot had induced “a robust and durable response in mice”. Inovio, according to WHO, is one of at least 15 companies and academic groups that are in the race to develop Zika vaccines. But there is a more pragmatic underpinning to such breakthrough claims: a market boost. Share prices of the US biotech firm, which will start clinical trials before end-2016, rose 7 per cent after the announcement. In the case of BBI, the patent claim was made just before its three investors were to unload their shares, says a report in Business Standard. But BBI has a long way to go before its vaccines succeed. First it has to convince an expert panel of Indian Council of Medical Research that its patent claims are scientifically sound. Then come the gruelling steps to getting regulatory approval. The firm’s trials have just started.